With the mid-year school break swooping in, parents and children eagerly look forward to spending quality family time. 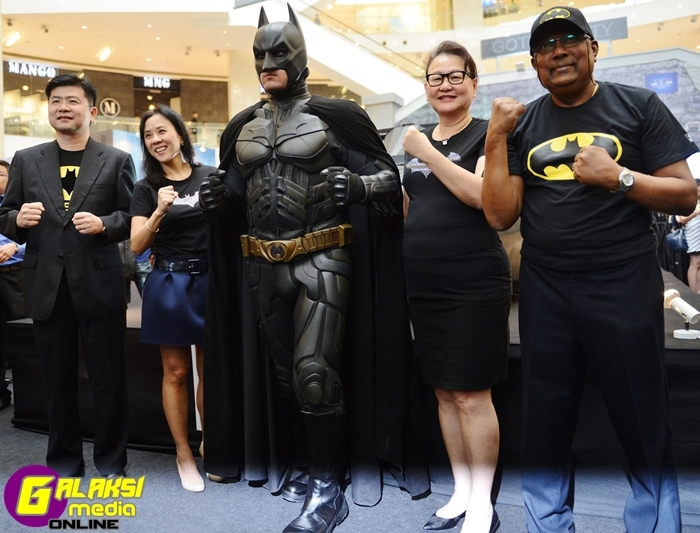 Shopping malls are a favourite destination for families during the school holiday season and Pavilion Kuala Lumpur is ready to thrill families by celebrating Batman’s 75th anniversary held from 28th May to 15th June, 2014. Working in conjunction with Warner Bros. Consumer Products and DC Entertainment, Pavilion KL has prepared an exciting array of activities catered for the whole family during the holidays. As shoppers enter the mall through the Crystal Fountain at Pavilion KL, the iconic Bat logo will provide the perfect photographic opportunity. Then set your foot at Pavilion KL’s Centre Court to view the Asia debut of the hologram display of Batmobiles over the years, inside a custom built Batcave. Fans can visit the “History of Batman” walkthrough, which tells the story of the character’s creation in 1939 by Bob Kane and Bill Finger of Detective Comics, and his evolution as super hero through the decades, remaining topical and relevant for generation after generation of fans. Other characters in the Batman pantheon will be featured as well, including his crime-fighting partner, Robin, and many of Batman’s arch nemeses, including the Joker, Catwoman and Harley Quinn. Other Batman attractions at Pavilion KL include a Heroes and Villains of Gotham City cosplay competition, the display of 1:1 scale replica statues of Batman and his Batmobiles, Joker and Catwoman. There will also be a showcase of figurines and half-busts of a host of Batman characters, as well as scale models of a wide selection of Batmobiles. Do not miss Batman’s meet and greet appearances, this is your chance to take a picture with the iconic hero himself. Limited edition Batman 75th anniversary merchandise will also be available at the event. 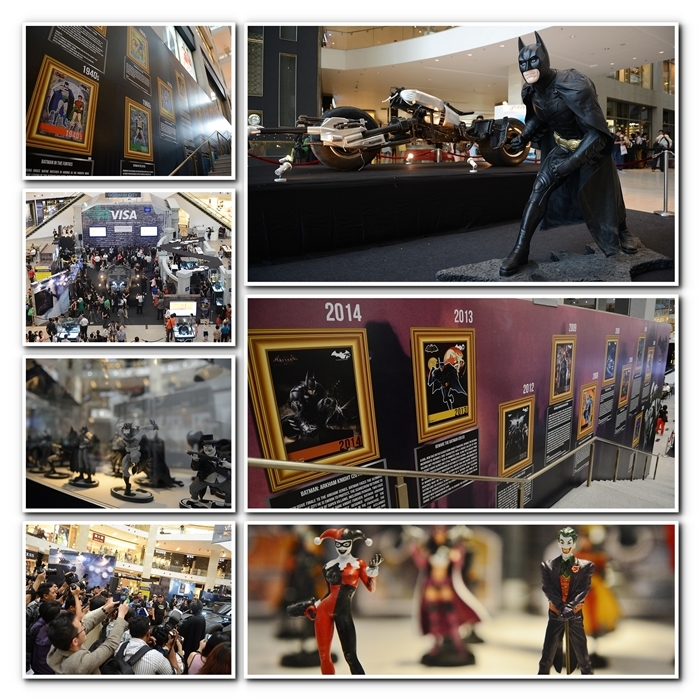 Along with this Batman extravaganza, Pavilion KL is offering special promotions for shoppers. Spend RM200 at specialty stores or RM100 at children’s stores and receive a photo moment with Batman during specified time slots. Furthermore, be the first to apply for the new BSN Batman VISA Debit Card and receive a special Batman gift (terms & conditions apply). This is offered exclusively at Pavilion KL ahead of the card’s nationwide launch. VISA card holders who charge a minimum RM300 to their card in Pavilion KL will receive 2 passes on the same day to the Batman hologram experience. Not forgetting a chance to win a holiday package for two to Warner Bros. Movie World at Gold Coast, Australia for those who charge RM500 to VISA Card at specialty stores or RM200 at children’s stores. With so much in store, head over to Pavilion KL this school holidays and have the time of your life! For more information, contact Pavilion KL’s Concierge at 03 2118-8833, check real-time updates on Facebook at http://www.facebook.com/PavilionKL, or Twitter at @Pavilion_KL. ← (SUKAN) ADIDAS’ GEARED UP AND READY FOR 2014 FIFA WORLD CUP™ WITH THE LAUNCH OF ‘BATTLE PACK’.